Let’s see if I’ve got this straight. US-installed Ukrainian putschist leader, in cahoot with US and UK Russophobes, staged last Sunday’s anti-Russia provocation in the Black Sea’s Kerch Strait, Russian waters. Entering them without permission violates Articles 19 and 21 of the UN Convention on Law of the Sea (UNCLOS) – an indisputable breach of international law, along with violating 2003 Russia/Ukraine treaty-defined rules, relating to Kerch Strait freedom of navigation rights and obligations. Requesting and receiving permission to sail through the strait is required, Russian waters between the Crimean Republic and Russian Federation mainland. Putin said there were “clear signs of a provocation prepared in advance” by Kiev…“a pretext to impose martial law in the country” for domestic political purposes. She’s right about Western involvement, most likely US and UK hardliners. 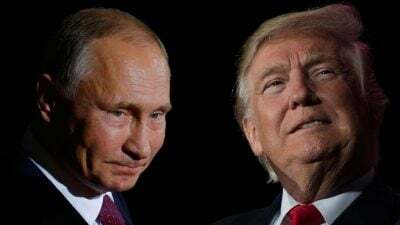 Hours earlier Thursday, Putin’s meeting with Trump on the sidelines of the G20 summit in Buenos Aires was confirmed. Peskov wasn’t informed of the change, he said, adding the cancellation will give Putin more time to meet with other world leaders. Russophobes succeeded in cancelling the planned meeting by both leaders at the G20 to discuss vital issues, going all-out to prevent improved bilateral relations. Trump’s key meeting is with China’s Xi Jinping. A possible trade war showdown looms. Reportedly, a joint press conference and statement won’t follow their discussion, each nation issuing its own, Trump likely to comment via Twitter. According to Hong Kong-based Lawrence Lau, both leaders are likely to declare a temporary truce in the form of a “framework agreement,” details to follow later. Major bilateral differences “cannot be solved over” dinner. It’s unclear how long their meeting will last or precisely what will be discussed. Months of talks produced no breakthroughs. A previous article said perhaps the best to hope for is a reprieve so further talks on major unresolved issues can continue in the new year. Trump blew it by caving to neocon hardliners, unacceptably agreeing to snub Putin in Argentina after both leaders agreed to meet. Anything close to insulting Xi a similar way would turn this year’s G20 into a disastrous fiasco, his hubris and arrogance on display before key world leaders. It would be more evidence that he can never be trusted, what’s already well known, along with his geopolitical incompetence.